Budapest is easily one of the most photogenic places I’ve been to: there are no bad angles in this city full of unexpected grandeur. Part of what makes Budapest so unique is how it manages to balance opulent 19th century architecture and tree lined boulevards with the grit of bars sprung from abandoned buildings and an undertone of post-war communism. It must also have a huuuuggge electricity bill, because at night, every monument, bridge and building is beautifully lit up. It’s like a fairytale. 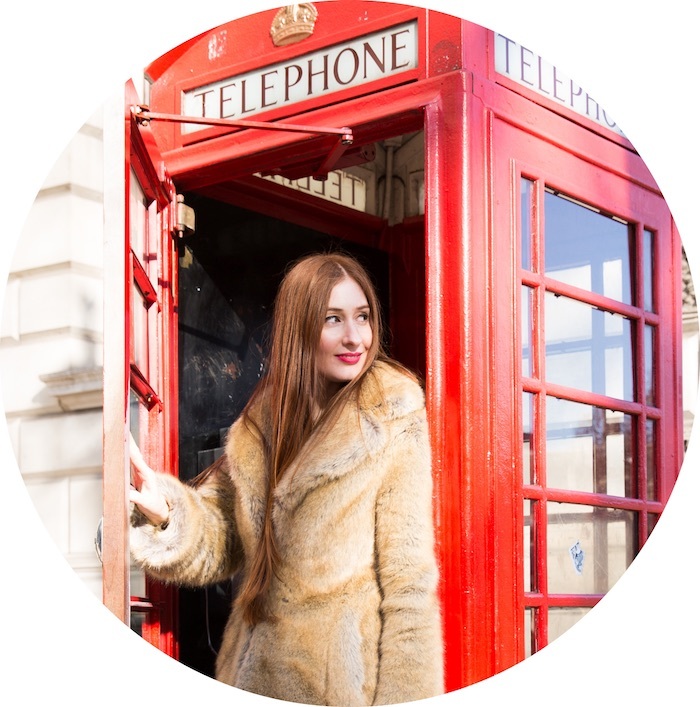 So if you subscribe to the old adage of, did you even go on holiday if you didn't post 1000 pics on Instagram to prove it, where should you go to capture the magic of Budapest? Let me show you. The Chain Bridge is the most iconic of Budapest’s bridges and was the first permanent connection between Buda and Pest (the two sides of Budapest divided by the Danube River). Standing on the Pest side of the bridge – particularly at night – will give you breath-taking views of it lit up with Buda Castle in the background. It’s beautiful at sunset too: I’ll never forget the moment (pic below) I had on my first trip to Budapest, watching the sunset as a man fed seagulls on the middle of the Chain Bridge. I only had my iPhone with me but you can see, even from the slightly low-grade pic, how pretty it was. The bridge, which officially opened in 1849, was designed by an English engineer and actually built in the UK, before being shipped over in sections to Hungary for final construction. Though you’d have no idea today from looking at it, the Chain Bridge, along with all of Budapest’s other bridges, was completely destroyed in World War II. You can see some photos of the ruined bridge here. It was reconstructed and reopened in 1949, exactly one hundred years to the day after its original opening. If you’ve been to Germany, Austria or Slovakia there’s a good chance you’ve seen or heard of the mighty Danube River. The river runs through the middle of Budapest, splitting the city into the Buda and Pest sides. Walking along the Pest side will give you stunning views of Buda Castle, Fisherman’s Bastion, Gellért Hill and the Chain Bridge, while walking along the Buda side will let you get a picture perfect snap of Budapest’s Parliament House. On the Pest side you’ll also be able to see the tragic but extremely touching Shoes on the Danube Bank memorial that honours the 3500 people who were killed by the fascist Arrow Cross militiamen during the Second World War. There’s probably not much competition for the prettiest parliament house in the world...but surely the title has to go to the spectacular Hungarian parliament building. This Gothic Revival style stunner is a symbol of unification and the city itself. The parliament house is on the Pest side of the river, but I found I got the best photos of it from the Buda side of the city. For the best view walk along the Buda bank side of the Danube until you’re directly across from this magnificent building. 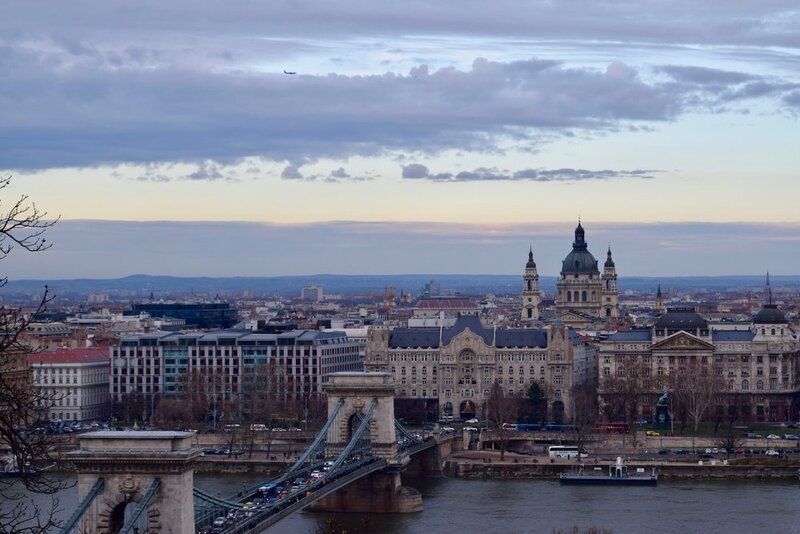 You’ll often hear people say that Budapest is two cities united – Buda and Pest. But they’re forgetting the third city Óbuda, which also joined together with the two better-known cities on the 1st of January 1873 to make the Budapest we know today. To celebrate this union and the sovereignty of the nation, an international competition was held to build a new parliament house on the banks of the Danube River. Maybe the Hungarians were biased – because despite the global search for an architect they named one of their own, Imre Steindl as the winner. Construction began in 1885 and the building was fully completed and opened in 1904. Sadly, Steindl never got to see the final product as he went blind during the construction and died two years before it was finished in 1902. Fisherman’s Bastion – or Halászbástya to the locals – is a Disney-esque lookout that was built in 1902 on the Buda bank of the Danube River. The lookout has seven towers that represent the Hungarian tribes that founded the country in the 9th century. Fisherman’s Bastion is the perfect spot for photos, as there are so many spots to perch and angles to capture with the parliament house across the water in the background. Tip: This is one of the top tourists spots, so get there early to avoid lining up to get the best photos. Clearly from the pic below you can see I didn't heed my own advice! 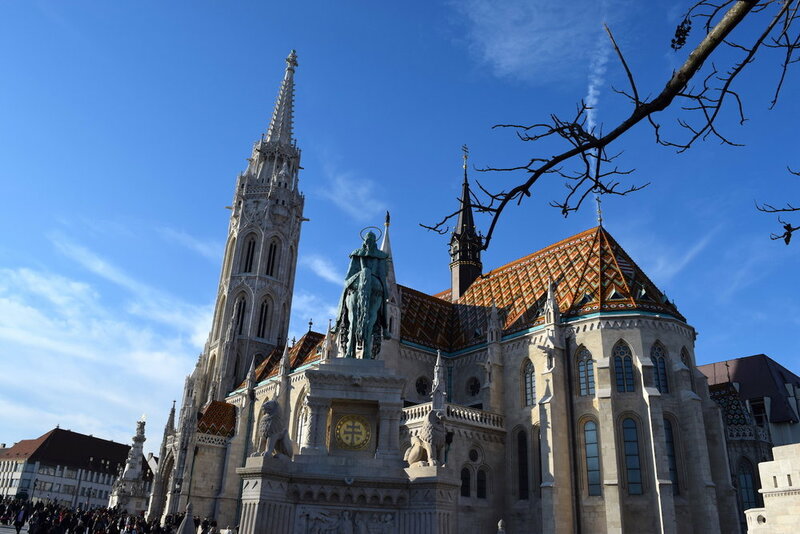 Sitting just inside Fisherman’s Bastian lookout is another picture perfect opportunity – Matthias Church, which has the prettiest tiled roof you’ll ever see. The church was apparently first constructed in 1015, although there are no archaeological remains of the original building. The church we see today was built in the 14th century and heavily reconstructed between 1950-70 to fix the damage caused by World War II. Matthias Church was the venue for the coronation of many of Hungary’s kings, including two of the last Habsburg kings, Franz Joseph in 1867 and Charles IV in 1916, and was used as a camp by the Germans and Soviets late in the Second World War, when the country was occupied by the latter. Buda castle is synonymous with Budapest itself. When you see photos of the Hungarian capital, they’ll nearly always include this stunning baroque building. The castle, which sits on the aptly named Castle Hill was first built way back when in 1265, although most of what we see today was built between 1749 and 1769. Photos of the castle itself are best taken from the Pest side, but photos from the castle offer stunning sweeping views of the Danube and Parliament House. Tip: To get to the castle you can either walk up the hill or take the cute (but touristy) Buda Hill Funicular. Gellért Hill gives you one of the best views of Budapest from above. Why? Because it allows you to get a snap that includes the big four: the Chain Bridge, the Danube, Buda Castle and the Parliament House. You can also get great photos of the lesser celebrated but still beautiful Liberty Bridge to the south east of the hill. Tip: For the perfect photo, I highly recommend heading up there at or after sunset where the city lights will sparkle beneath you. From afar the hill looks quite steep, but in reality it’s a pretty easy to walk up to the top. Plug the Liberty Statue into your phone, as the area around here is the best place to get photos of the city. The hill gets its name from its involvement in the death of St. Gerard. He was apparently killed by pagans in 1046, put in a wooden barrel and pushed off the top of the hill. Delightful. This is Budapest’s second best-known bathhouse. While Széchenyi is all about the outdoor pools, the most opulent spas in Gellért Baths are inside. The art nouveau building which is 100 years old this year is built on the spot where ‘healing waters’ have been referenced since the 13th century. While the indoor pools are simply beautiful – be warned – if you go on a weekend there’s a good chance it’ll be packed with tourists, so those hoping to get a shot without too many people will need to go at a quieter time (once again, you can clearly tell from my photos I did not heed my own advice here!). While the Liberty Bridge is considered the poor cousin to the much-hyped Chain Bridge, this is a great spot to get some photos of Budapest’s famous yellow trams trundling across the Danube with the imposing bridge in the background. Tip: If you head to this bridge late at night, you’ll be able to get some snaps of it near empty with just the famous yellow trams going over it. If you’re planning to head up to Gellért Hill at night you can easily head here on your way there or back. 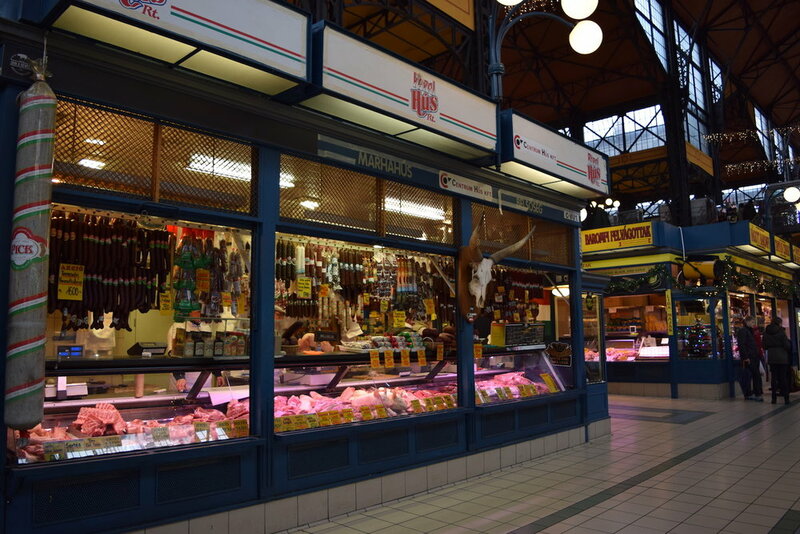 Budapest’s beautiful Great Market Hall is the largest and oldest of its kind in the country. 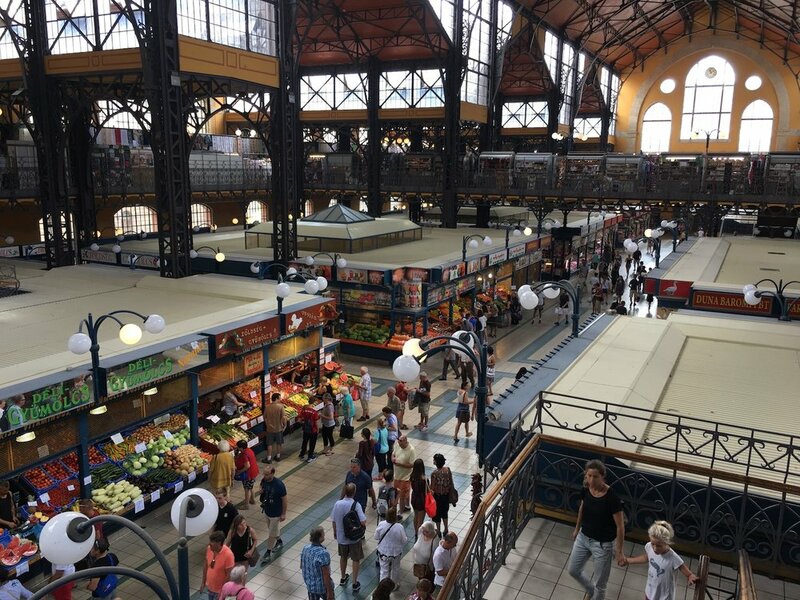 It’s mainly a fresh produce market, so you’ll bump into plenty of locals doing their shopping, but the second floor has a few places to eat and all the souvenirs you could ever want. Tip: While you’re there, head upstairs and make sure you grab one of my favourite Hungarian foods: Lángos (deep fried bread, garlic, sour cream and cheese. So bad but so good!). Seriously…I dream about these things. Budapest’s metro is the second oldest electrified underground railway system in the world, beaten only by London. There’s a certain old world charm about it and a hint of grandeur in many of the stations. Line 1 is even UNESCO listed, so it’s worth a look and a photo if you ask me - plus its obviously a good way to get around this hilly city! Heroes’ Square is the largest public square in Budapest and is popular with tourists who come to see its main attraction – a complex of statues featuring the Seven Chieftains of the Magyars (Hungarians) and the Millennium Monument. When the monument was originally constructed, Hungary was part of the Austro-Hungarian Empire so it featured statues of members of the Habsburg family including Franz Joseph. However, when it was reconstructed after World War II, the Habsburgs were replaced with more modern public figures. Budapest is famous for its baths, but no bathhouse is more famous than Széchenyi. While I can’t say I am the biggest fan of Budapest’s more touristy baths (there are plenty of lesser known bathhouses where you can relax without the crowds), if you want an iconic spa photo that is ubiquitous with Budapest – this is the place to come. If you tell anybody that you’re going to Budapest they’ll tell you to go to the ruin bars. While you’ll definitely have a fun night (and a horrible hangover the next day like I did), one thing I wish I’d known beforehand is that 99% of the other people there are tourists. So on an authenticity level, I’d rate the best-known ruin bars pretty low. But they’re worth a look and there is no better known or photographed one than the original ruin bar: Szimpla Kert. 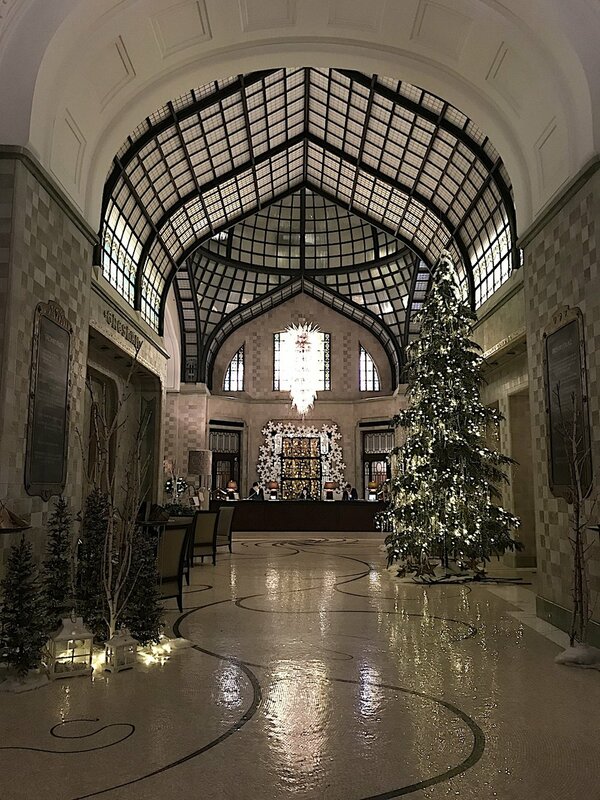 The Four Seasons has to be the most striking hotel in Budapest – particularly when it’s lit up at night. Its splendour is obvious inside and out – not bad for a building that used to be an insurance company! 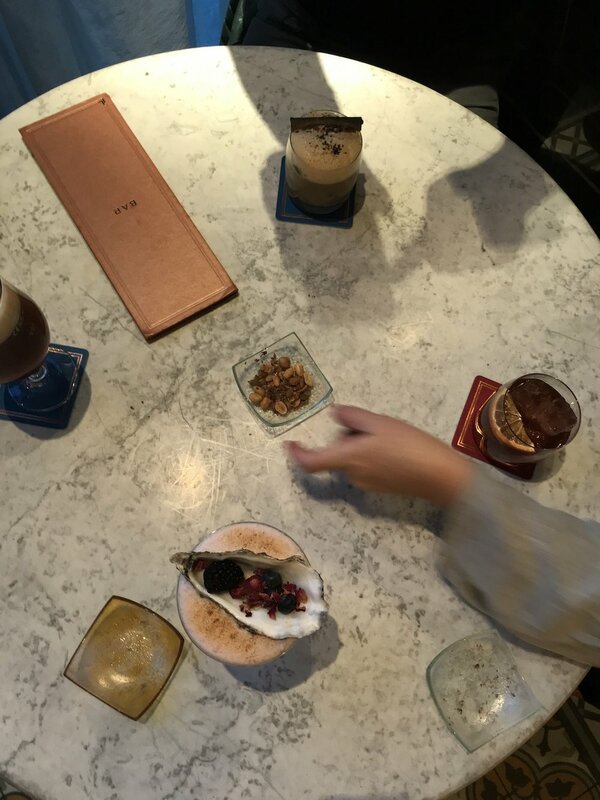 Its bar Kollázs also do delicious and completely Instagram worthy drinks if you have time (and the cash) to stop in for one.